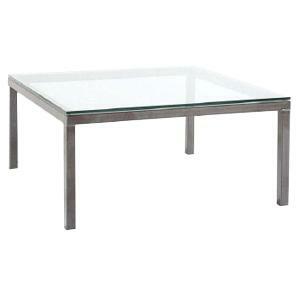 Use this end table as the centerpiece of your living room furniture, or as a useful accent on the side of any room. Whichever way it is used, it will be an eye-catching addition. 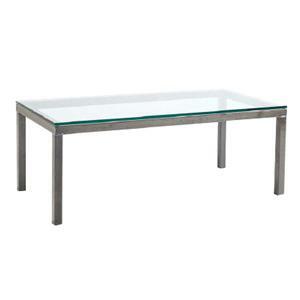 With hand forged steel frames, a clear, tempered glass top, and clean lines, this table shows off a sleek and contemporary style while still ensuring durability for long use. With a durable hand forged steel frame, this console table will be a perfect accent for your sofa or hallway. 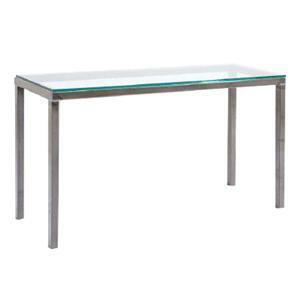 It features a clear tempered glass top and clean lines, giving this table a sleek and modern style that will update the look of any decor. 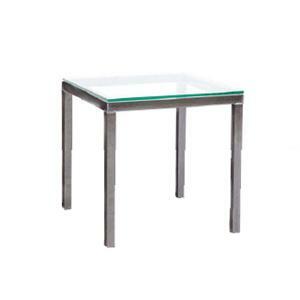 Trendy and durable, this end table will become a great accent piece for you living room or hallway. The tempered glass top and hand forged steel frames show off a modern style, great for displaying items or holding drinks. 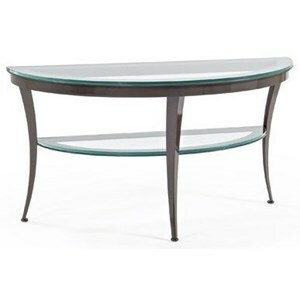 Featuring a glass top and glass shelf, this console table has a sleek transitional design. Splayed legs in a trendy dark Graphite finish add to the polished effect. 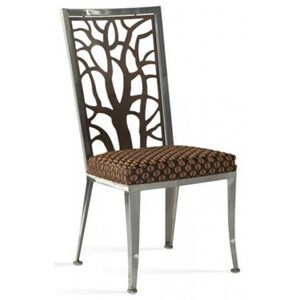 With its decorative tree-like back design, the Eden dining chair elevates any formal dining room into a work of art.